Dr. Cindy Tu is a board certified Therapeutic Optometrist and Glaucoma Specialist. She received her undergraduate degree in 1997 as well as her Doctor of Optometry degree in 1999 from the University of Houston. 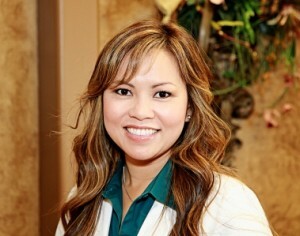 Dr. Tu has practiced in the Fort Bend area for 12 years and resides here with her husband and two daughters. She is a working mom who finds time to be involved with her kids at their school and in a variety of after school activities. You might bump into her on the soccer field, at the dance studio, or on a volleyball or basketball court. She and her family can be found on the University of Houston campus cheering for their Coogs at every home game! 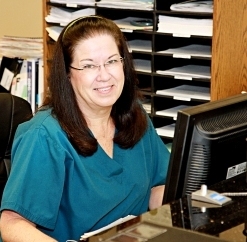 Laura Blair has been working with Dr. Tu for several years. She handles administrative duties and helps Virginia and Nelly wherever needed. When she’s not filing insurance claims, you might find her in the lab edging lenses. Getting to know new patients and maintaining friendships with existing patients are some of her favorite things about working with Dr. Tu.